Wherever I end up, Boston will always be home! There is only one BOSTON! run, eat, sleep, run some more! Running has given me the strength to overcome any obstacle, taught me so much about myself, and restored my faith in humanity. Physical & mental. Personal & communal… the benefits are endless. My first marathon was actually Boston! I remember crossing that finish line and being in tears. I had been humbled by the distance (last 5K was brutal! ), but I still finished. I’ll never forget how proud I was of the accomplishment, and excited to do it again! Every race brings unique and memorable stories, but I doubt any will ever compare to that first finish! I can’t run my PR every race, but I can certainly lead a fellow runner to their PR every day! I absolutely love the running community, and it is so rewarding to help other athletes discover their own inner strength and the growth and PRs that come with it! Just one? So many enjoyable miles that just flew by! My first time carrying a pace sign. My whole group fell back and I crossed the finish line alone. I was so disappointed and felt like I’d accomplished nothing. Half an hour later a random runner came over to me all excited: he’d used the sign as his guide the whole race and set his PR! Suddenly it was a very worthwhile run! Another time I paced a half marathon at 3:30. Several first timers. I told them you’ll never forget your first, so make it worth remembering. Nearly 90 minutes after the group finished, a runner who had fallen back halfway crossed that finish line. I’ll never forget seeing him round the corner and how proud I was of that guy for battling through it! It’s easy to get caught up in race day energy, and go out too fast. It’s easy to get so focused on what your GPS watch says that you stress yourself out. And then there’s that issue of the voice in your head telling you to quit - it can get loud by the end of the race. It’s my job to take care of all that. You’ve trained yourself to be ready for this run, I’m here to make it easier for you. Don’t look at your watch. Just run with me (or use the sign as a guide). Let your body do its thing, without your mind getting in the way. You’ll be amazed how fast the miles fly by when you’re in good company. 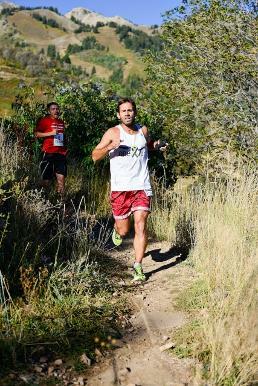 I can tell you all sorts of running stories to keep your mind off the hurt, and motivated for the prize. Before you know it the finish line will be in sight! The beauty of our sport is that we are all on the same team. Our competition is the distance, not each other. The clock? Only when we want it to be. The most important thing: enjoy the run! 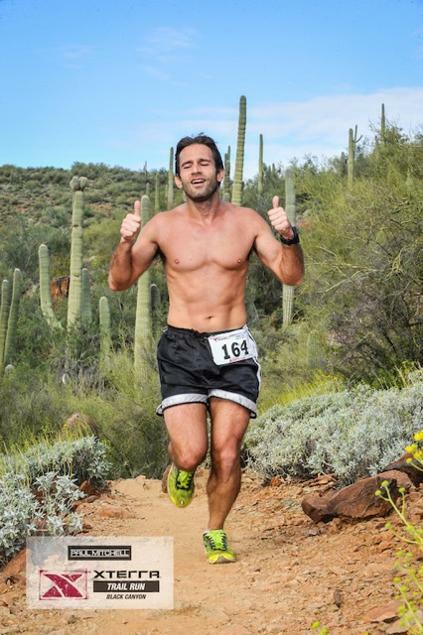 Would you rather be a good runner and have fun? Or a great runner and spend your whole life stressing your performances? When you start focusing on the fun, and the passion - you will surprise yourself with your success. So if today isn’t your day… big deal. There will be plenty of other chances. Just have fun! The marathon is no joke. You pay for it in one way or the other: either with hard work and training before the race, or struggle and pain during and after. Set realistic goals and listen to your body. Push your limits, but acknowledge your mortality. Ohh, and did I mention HAVE FUN! I founded a charity called OneRun after my experience at the ’13 Boston Marathon finish line. The goal is to make it similar to Team In Training, Team Challenge, etc - with the proceeds going to victims of the bombing and other similar mass tragedies. Just like Red Cross has funds *before* disaster strikes, we need to do the same for man made tragedies. Unfortunately with my brain injury the organization has been put on indefinite hold. Want to get involved and make it happen?